At LIBERTYAIR, our senior­-level technicians are ready and able to answer all of your questions concerning the installation, maintenance and repair of your home’s air conditioner. Due to our vast knowledge, we can help you find an A/C unit that will fit all of your family’s needs, whether you want to focus on efficient output or prefer a low­cost alternative for small apartments or rental properties. And because we’ve been in the business so long, we’re experienced in handling a variety of the top-­name manufacturers, so you can be sure you’re getting quality service for your top­-quality appliance. Take control of your home’s comfort levels with a quality air conditioning system. Homeowners have become more aware that the quality of the appliance can drastically change the quality of their home environment. Whether you’re replacing an old unit, or need the perfect heating and cooling system for a new residential build, contact LIBERTYAIR for the best in in-home cooling. You can count on the professionalism and superior customer service of LIBERTYAIR for all of your air conditioning needs, even if another company installed, serviced or repaired your air conditioner. While the above list includes primary manufacturers that we encounter most often with our clients, our HVAC technicians are skillfully trained to install, maintain, diagnose and repair any air conditioner in Gainesville or the greater North Central Florida region. We also handle warranty work for all of the major heating and cooling manufacturers. Whether you rent or own your home, it’s a good idea to learn about the heating and cooling system in your home. BTU: BTU stands for British Thermal Unit and is the measurement of energy used internationally to either heat or cool. Higher BTU ratings result in a larger, heavier and more expensive air conditioner, however, air conditioners with lower BTU ratings cannot efficiently cool a large area. EER: EER stands for Energy Efficiency Ratio, and you can find the EER of an air conditioner by dividing the BTU by the number of watts. Ratings range between 8 and 11.5, and a higher EER should result in a more energy efficient appliance. Did you know that Energy Star rated appliances qualify as being friendly to the environment and are capable of reducing the amount of energy used? Many homeowners and property owners attempt to install or service heating and cooling systems on their own. 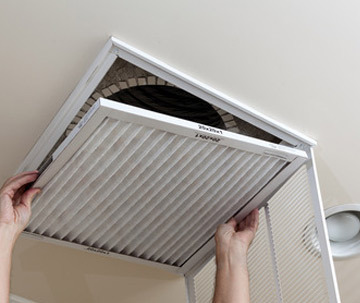 There are several simple steps you can take to keep your air conditioner working properly such as replacing the air filter regularly and changing the batteries in an electric thermostat. But some maintenance and repairs should only be done by professionals as they pose a serious risk of injury or harm. When installing a new air conditioner, always check the voltage of the outlet before you plug in the unit. If the A/C unit requires a higher voltage, call a professional to add a circuit. Likewise, if your new heating and cooling system has an irregular plug, hire a professional to install an accommodating outlet. Do not alter a plug to fit an outlet. Always make sure a window unit is secured. Falling units can cause serious injury and plenty of damage to objects below. Always unplug the equipment before doing any at­-home maintenance, especially when cleaning or repairing near fans or motors.